The internet is becoming more mobile every day, and that goes for how we engage with videos every day. 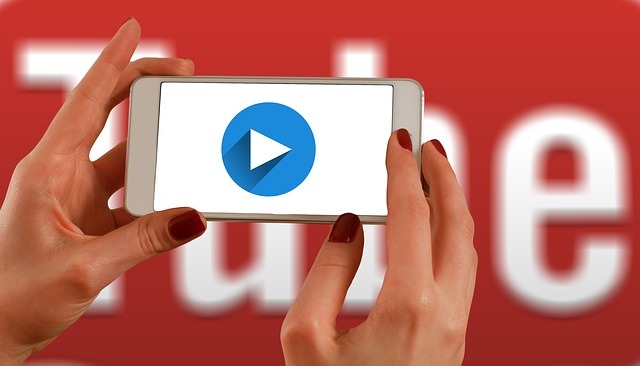 To help advertisers accommodate mobile video consumption, YouTube has announced a new ad format designed specifically to be quickly consumed in a matter of seconds. With YouTube’s “little haikus of video ads”, which are officially called ‘Bumper Ads’, advertisers can run short, unskippable ads up to six seconds long that run before videos. While these are similar to YouTube’s skippable TrueView ads, Bumper ads are capped at six seconds and aimed at catching people’s short attention spans on mobile devices. The new ad format will start rolling out to advertisers this month and can be purchased through the normal AdWords platform. You can see two examples of Bumper ads below – one from Audi Germany and another for Atlantic Records advertising a new album from English band Rudimental. When it comes to search results pages, everyone wants the top spot. That goes for advertisers as well. But, a new analysis from Adobe Media Optimizer suggests the first ad on the page might not always be the best for your dollar. In fact, the 4th position may produce the best results in some situations. The only catch is that sometimes Google doesn’t display the fourth ad. According to the findings published in Adobe’s April 2016 Advertising Report, cost per click (CPC) is down ever since Google removed ads from the right side of the page. Meanwhile, click-through rates (CTR) has gone up. The Adobe Advertising Report reviews three months of aggregated anonymous data from search advertising customers. 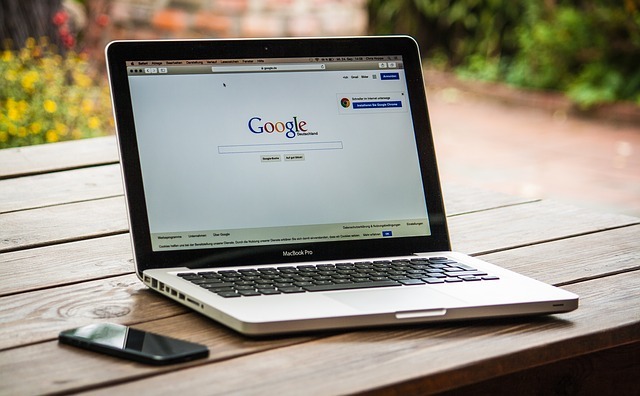 The company specifically says they hoped this particular assessment would help customers understand Google’s decision to cut ads from the right-hand rail of desktop search results in February of this year. Overall, the analysis found the changes impact smaller advertisers more because these advertisers generally depend on lower volume keywords. Due to the removal of the right-rail ads, smaller advertisers are having to pay our more to reach the top spots. They are also seeing 10% fewer clicks for less expensive keywords that appear in the lower ad spots. The results also show that costs per click have risen for the number 1 and 2 positions by 6% and 7% respectively. Meanwhile, costs for the 3rd and 4th positions dropped by 8% and 10% respectively, showing advertisers are placing more of an emphasis on reaching the top spots. Despite this, the lower positions are actually producing better click-through rates. CTRs for the 4th position jumped by 18% while the rates for the 1st and 3rd position rose by 13% and 2% respectively. Rates for the 2nd position have remained the same. 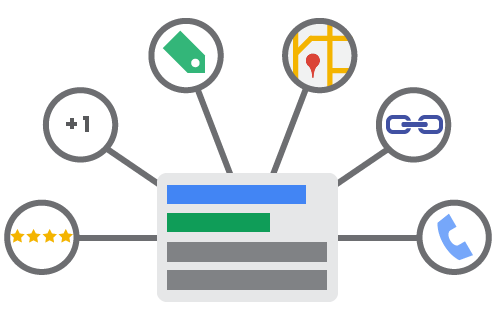 When all this is taken together it shows that the lowest spots on the AdWords results may provide the best value for advertisers, especially small businesses who are advertising on the platform. The results also suggest customers are responding well to the removal of right sidebar ads and engaging in ads more overall. Facebook has made itself an absolute necessity for businesses looking to build a following, increase their visibility, engage with their fans, and even find new qualified leads. To get the most out of the most popular social network, however, you need to take advantage of all the newest tools and features Facebook is always rolling out – such as call-to-action buttons on business pages and letting you share company milestones on your profile. Taking advantage of all these great little tricks and tools not only shows your audience that you are active on Facebook, it shows you care about making sure your fans can always contact you for questions, problems, or to share how much they like your products or services. So how can you be sure you’re getting the most out of the largest social platform in the world? The tips in this infographic from Cafe Quill will help you get started by showing all the different ways you can be using Facebook to improve your branding and exposure while keeping your fans engaged and invested in your brand. In the past, Google AdWords used a complex and confusing algorithm for deciding when to display ad extensions. Recently, the company changed this by introducing a new policy which adjusts the impact of ad formats in the ad rank formula and allows AdWords to provide an estimate of how visible an ad would be on search engine results pages (SERPs). As of now, an ad’s visibility will depend on ad position and ad formats, meaning ads with higher positions in the SERPs will display more ad extensions than ads in lower positions. This is a shift away from past systems which allowed lower ranked ads to show more ad formats than those above them. The term ‘ad formats’ refers specifically to visual extensions that appear on ads in search results that display extra information about a business, including phone numbers, addresses, consumer ratings, and more. In a way, this change ads even more incentive for businesses to make sure they get the top rankings in search results pages, as they will be rewarded by having it be more likely their ad extensions are shown along with their ad. Those who are able to score the top spots will certainly be happy with the change, though, as it means they are less likely to be outshined by a lower ad on the page. Roughly a month after Google announced it would be completely shutting down the Google PageRank Toolbar, the service finally went dark over the weekend. Now, those who have the PageRank toolbar installed will not be able to see the 1-to-10 rankings of sites they visit, making the toolbar officially useless. The move also cuts data from any third-party toolbar that tries to retrieve a PageRank score. Of course, if you’ve been using the PageRank toolbar recently, you have been working from outdated data. Google hasn’t updated the public PageRank scores in years, so it makes sense to finally shut it down for good. It must be noted that PageRank isn’t completely gone. It just isn’t available to the public anymore. Google will keep using the PageRank algorithm internally to help evaluate websites. For more about the legacy of PageRank and the PageRank toolbar, I recommend reading Danny Sullivan’s RIP Google PageRank score: A retrospective on how it ruined the web. Google is continuing its efforts to combat online display advertising fraud, with new defenses against a scam technique known as clickjacking. If you’ve ever tried to press play on a video, open a link, or start a song and wound up on another page unexpectedly, clickjacking is most likely the culprit. This is done by overlaying an essentially transparent layer over a legitimate web page. This way everything looks normal, but as soon as you try to take any form of action you trigger a behavior on the transparent overlay. The action may be used to trigger one-click orders from Amazon, take you to malware-laden sites, gain Facebook or Twitter likes, commit ad fraud, or any number of malicious behavior. To fight back against this, Google is removing publishers engaged in clickjacking from its network entirely. The company has also developed a new filter specifically to exclude invalid traffic on display ads from clickjacked pages on both mobile and desktop. 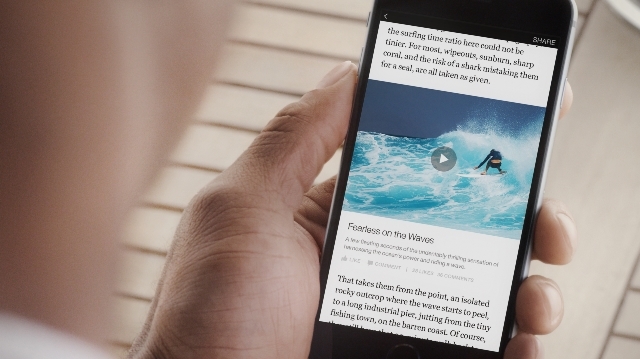 Facebook is bringing its Instant Articles to all developers and content producers. The social media platform has been slowly testing its feature, which allows publishers to share content on Facebook mobile that is fast-loading and easy to read. During Facebook’s F8 conference, the company announced that publishers of any size or kind can now publish via Instant Articles while also sharing some statistics showing how Instant Articles have been performing so far. 70% reduced likelihood of abandoning content once clicking on it. 30% more shares compared to the average mobile web articles. Instant Articles are Facebook’s response to Google’s Accelerated Mobile Pages and other fast-loading content platforms that streamline pages to ensure they load almost instantaneously on mobile devices. Facebook’s Instant Articles are unique though, because they also allow publishers to control ad placements within their content. Publishers can even publish native ads as Instant Articles, which are distinguished from traditional content through unique styling options and the ability to add your company’s logo. Google Analytics is an essential tool for making sure your website is performing as you would like and making improvements to keep growing, whether you are a high-level marketer or a business owner who just launched their site. If you aren’t familiar with Analytics, however, or the technical jargon that fills your reports, it can be difficult to make sense of the huge amount of information available. That can make it hard for someone new to running a website for their business to make sense of the huge amount of information available in Google Analytics. Thankfully, you don’t have to depend on analysts, marketers, or your company’s “computer guy”, to understand how your site is performing with Google Analytics. Search Engine Watch has put together an easy-to-understand glossary for all the jargon and confusing labels that you will come across, making it simple for you to know exactly what your reports are saying about your site. You can see the handy guide from Search Engine Watch here. With the latest change, Facebook is allowing any verified page to share branded content, however, the content must be labeled as such. This is a significant turn from the company’s previous stance against branded content and ads. To help brands with verified pages label their branded content, Facebook is also offering a new tool to assist in tagging brands mentioned in the content. The company says the tool must be used every time branded content is published. By changing their policy, Facebook is allowing companies with existing partnerships or sponsorships to bring their relationship into the world’s largest social network. Notably, branded content can also be pushed via sponsored posts or leveraged in paid ads. The company says the new tool will hopefully lead to greater transparency while continuing to help users find valuable information. When a brand is tagged in a piece of branded content, they will also receive access to post insights and can share the boosted post themselves. Yesterday, we reported that a significant number of websites had been hit with Google penalties over the weekend for “unnatural outbound links.” Since then, Google has clarified that the manual penalties issued this weekend were specifically related to bloggers giving links to websites in exchange for free products or services. Google had issued a warning a few weeks ago urging bloggers to disclose free product reviews and nofollow links in their blog posts related to these products. Now, they’ve taken action against sites who ignored the warning. If you are a blogger or company who has participated in an agreement to give free products to reviews, be sure to check your Google Search Console messages to see if you’ve been hit by the latest round of manual penalties.